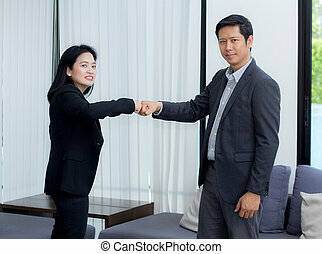 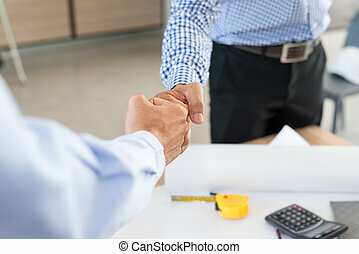 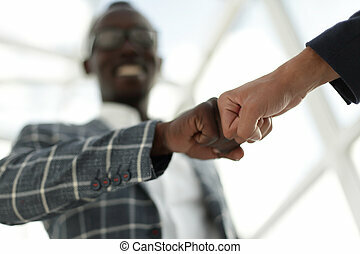 Business Partners Giving Fist Bump in Their Office. 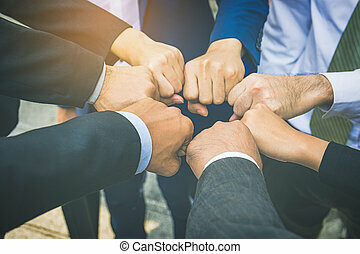 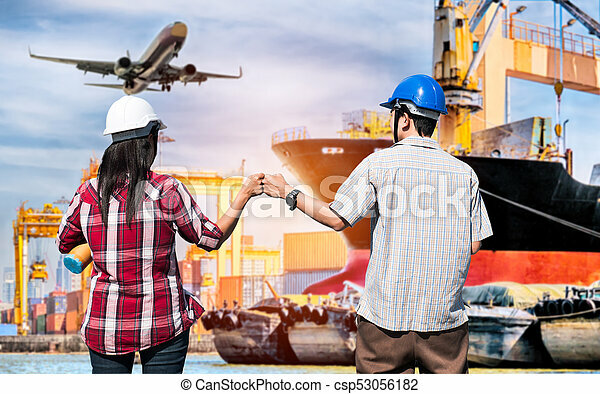 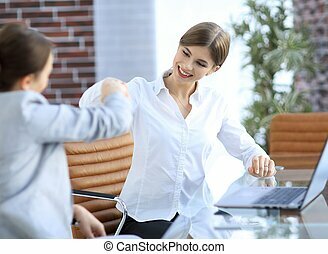 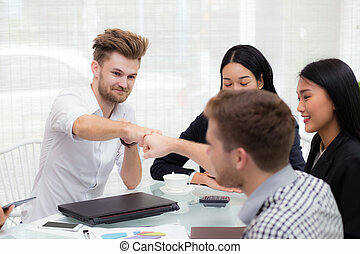 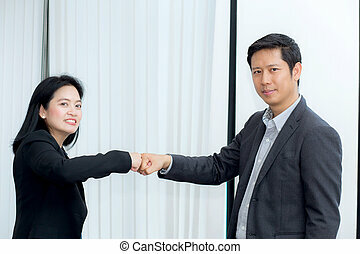 Successful Teamwork Hands Gesture Concept. 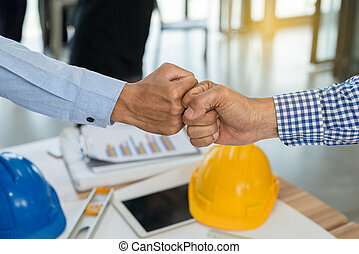 Partnership Business Concept. 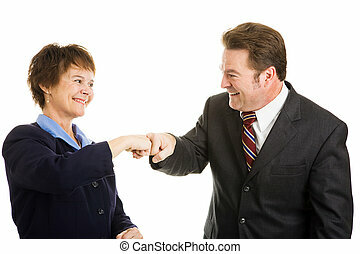 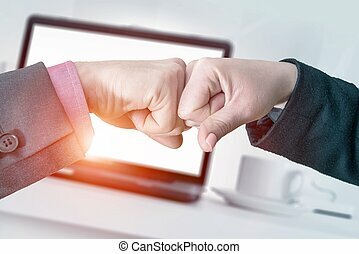 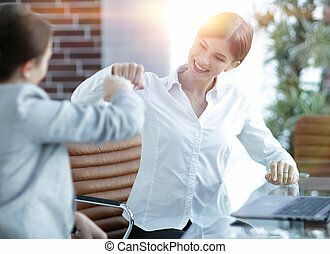 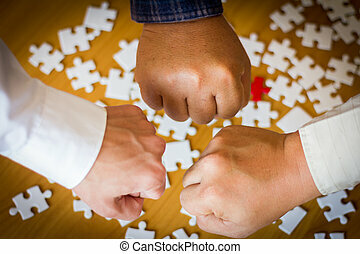 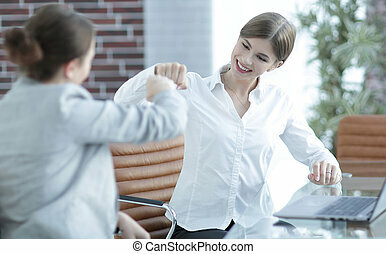 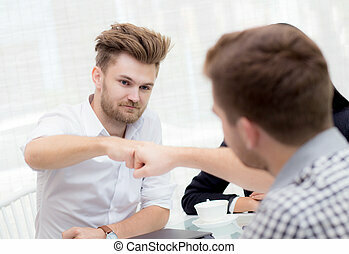 members of the business team giving each other a fist bump. 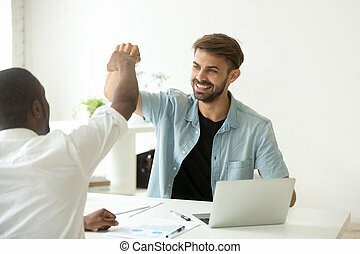 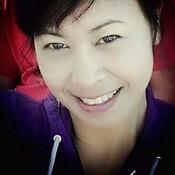 the concept of victory.